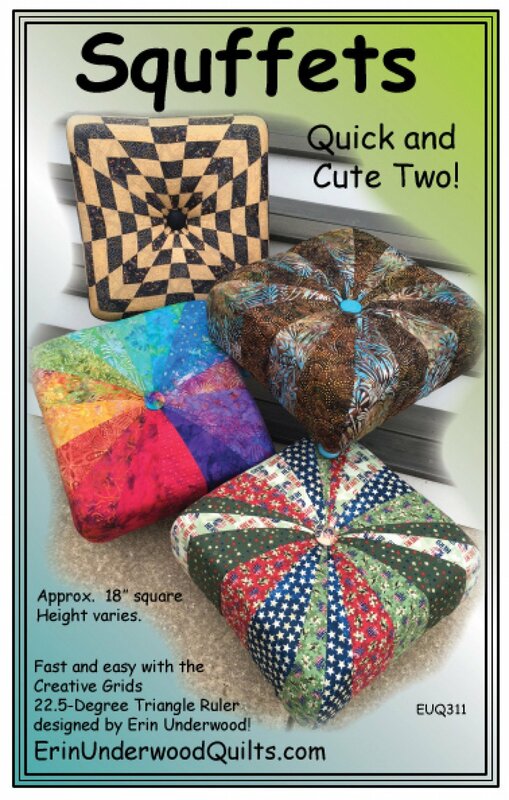 All Patterns > Erin Underwood Quilts > Squffets - Quick and Cute Two! If you love the Quick and Cute Tuffet by Erin Underwood, you're going to love the new Squffet! Fast and Easy with the Creative Grids 22.5 degree Triangle Ruler designed by Erin Underwood!